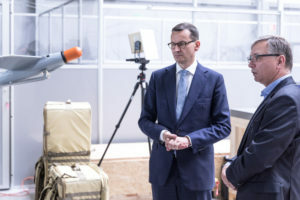 The Prime Minister visited the WB GROUP’s headquarters. 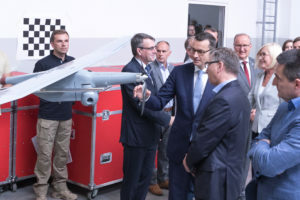 On September 11th 2018, the Prime Minister of the Republic of Poland, Mateusz Morawiecki, visited the WB GROUP’s headquarters and the manufacturing plant in Ożarów Mazowiecki. The Prime Minister met with the President and the Vice-President of the WB GROUP, Mr Piotr Wojciechowski and Mr Adam Bartosiewicz. 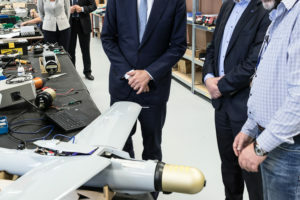 He also had the opportunity to see the production process of WB GROUP’s technologies, the unmanned systems FT-5 and FLYEYE, as well as the loitering munition systems WARMATE and WARMATE 2, radios, video recording devices and the e-mobility solutions. 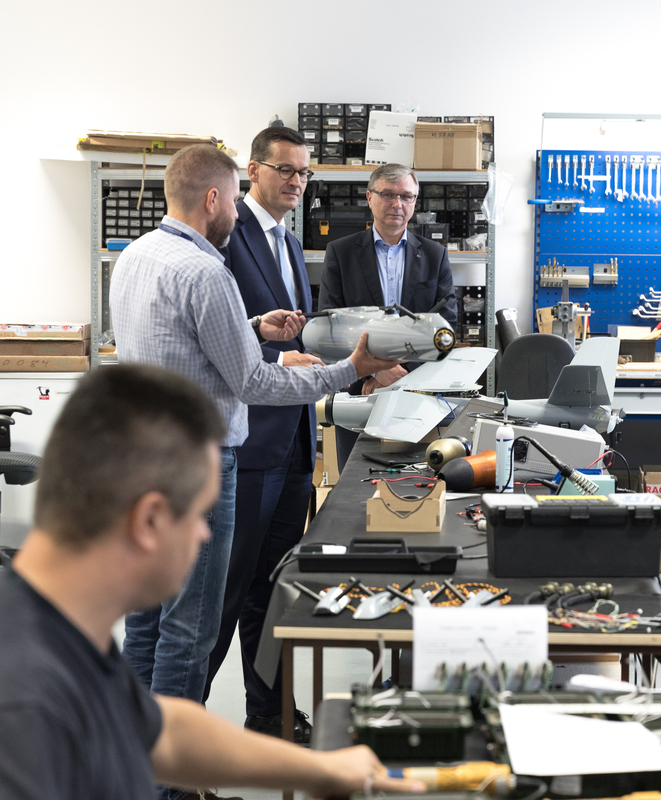 Mateusz Morawiecki had the chance to speak to WB GROUP’s engineers and constructors team about the production of our systems and technologies. 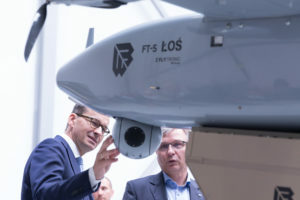 “We are pleased to have welcomed the Prime Minister in our headquarters” – said the President Piotr Wojciechowski – “over the last few years we have developed our activity in the field of the unmanned systems, the loitering munition and battle management systems, but we are also active on the civil market. 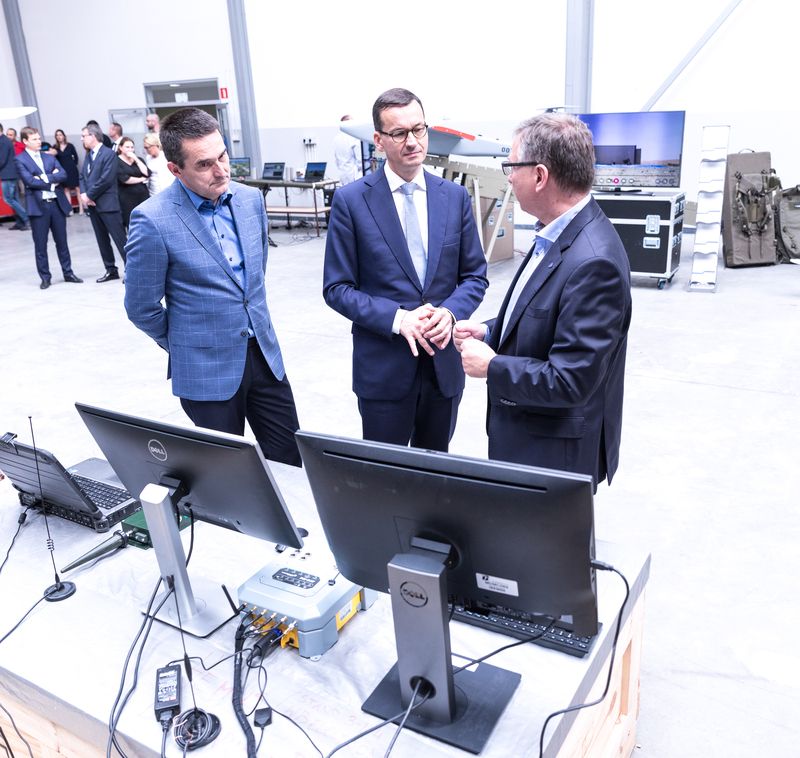 Our engineers are constantly developing the e-mobility solutions, which is why this visit is of particular importance for us. 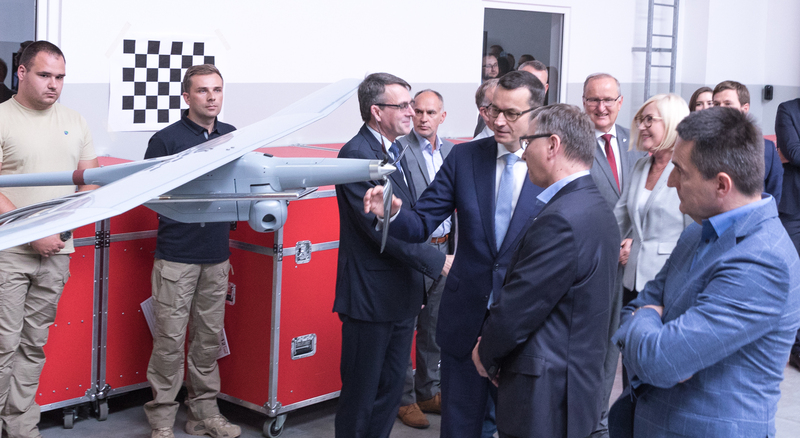 The electromobility not only improves the energy security, but also reduces the air pollution and helps protect the environment, and so we are pleased to have showcased our solutions in the field of the energy storage technologies and powertrain vehicles”.